The Tony Joe White song “Polk Salad Annie”, popularized by artist such as Elvis Pressly is a sample of Southern herbal culture. Annie’s Grandmother was dead and her mother was in prison leaving her to feed her brothers and sisters. Pokeweed was free for the picking. Tony Joe White and Johnny Cash "Polk Salad Annie"
Elvis Pressly "Polk Salad Annie"
Pokeweek (Phytolacca Americana) if eaten raw is poisonous. The black berries are especially toxic causing vomiting and diarrhea. However, the young shoots or leaves can be boiled in water multiple times to yield them editable. The water should be discarded for each boiling. Times would have to get a lot tougher for such an effort. 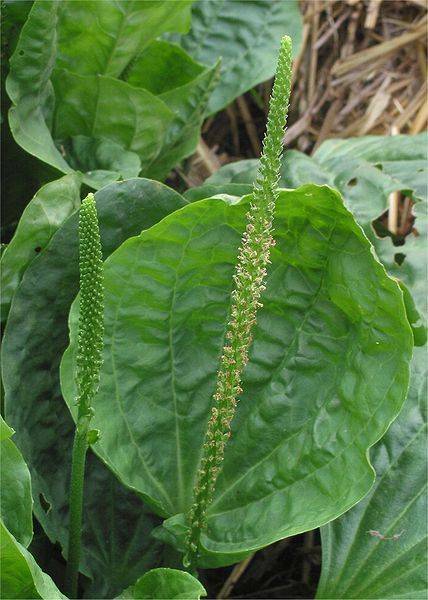 The most interesting historical use for the herb was the application of the leave to the breast to relieve mastitis. In this case it is known to aid in lymphatic problems. The common yard weed, dandelion (Taraxacum officinale), is named for the French, dent-de-lion meaning lion’s tooth. Instead of spraying it, consider that it contains vitamin A, C, and K. It is also rich in calcium, potassium, iron and manganese. The leaf is a powerful diuretic. Many diuretics deplete potassium therefore; many prescription diuretics are given with a potassium supplement. The dandelion already contains to potassium needed. The root is also an excellent liver and gall bladder remedy. Some collect the tender leafs in the spring as a tonic or salad. The root has been used as a caffeine free coffee and has been an ingredient in root beer. What could you do for a common insect sting? My favorite yard medicine, plantain (Plantago major), a common weed, is an amazing sting remedy. Just pick it, chew it and put on the spot. It is edible and contains acubin that is an effective anti-toxin.